Steam 'Early Access' users will receive this update Friday September 15th, 2017. Xbox 'Play Anywhere' players can also expect this patch to hit their consoles or Windows 10 machines September 15th, 2017. 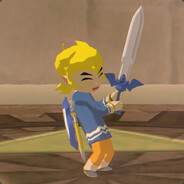 Update 201 includes some new controls, makes adjustments to tethers, and adds a new item! We as a team are moving out of the prototyping phase and into implementation of our major boulder sized tasks for feedback from the community. We will be updating the roadmap next week with LOTS of info as a result of these last few weeks but I will say this, the goal is to wrap these systems up and move on to Alpha ASAP. More info on that in the bottom prototyping section. Now for notes! You can find these updates in 0.3.101201.0, the current build of the game. This new augment creates a flat plane that is perpendicular to the curve of the planet, unlike the existing Flatten mode, which flattens based on a selected voxel and mimics that angle. The Alignment augment will make a flat surface based on the planet's center. When used vertically, it creates curved, column-like walls. 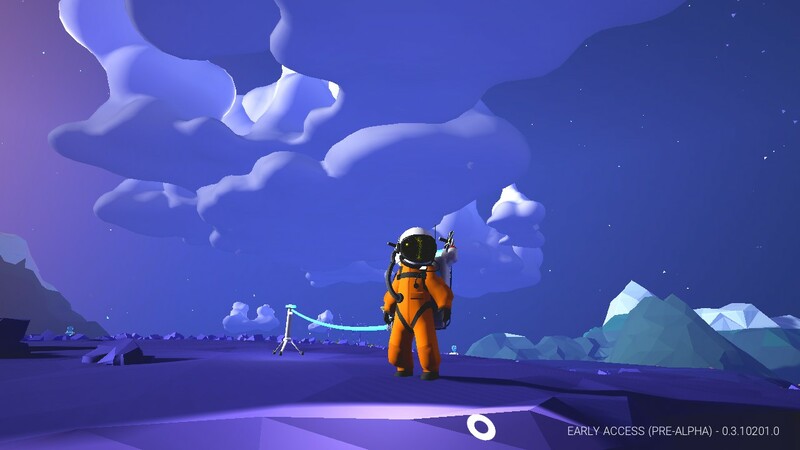 Pressing the “place tether” button will now place a Tether post at the Astroneer’s feet. The post can be moved around after that point. This change affects both Mouse and Controller players. For tethers, we feel these changes are going to have a great benefit to the overall experience. PROTIP: Now when running and placing tethers, drop them as soon as your oxygen line detaches. This will give you maximum length between tethers, while still allowing you to run in the direction you were going. When using the terrain tool, the camera now defaults to a fixed over-the-shoulder view, and holding LT unlocks the cursor and puts you in the old default mode. Clicking RS alters camera zoom distance as before, except that the closest zoom in this mode is very nearly first-person. When you have your terrain tool out, use right stick to aim the terrain reticle, and left stick to move your Astroneer. 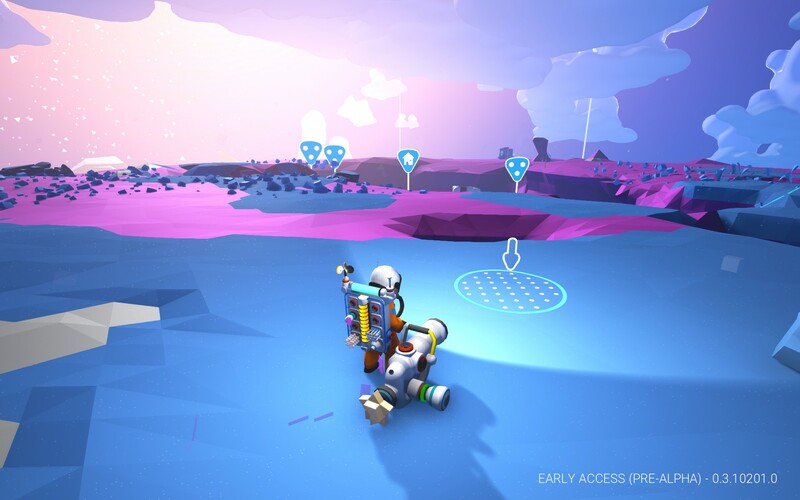 Now the right stick is universally the way to look, and the left stick will always allow you to move your Astroneer, whether deforming or just running around. UPDATE: Vehicle animations and winch sounds didn't make it. [AS-856] - Winch now has audio. [AS-857] - Connecting two conduits together now has audio. [AS-1309] - Vehicle enter and exit animations now have sound effects. Riley has been hard at work fixing some new bugs, and simultaneously using Wwise to add new content. 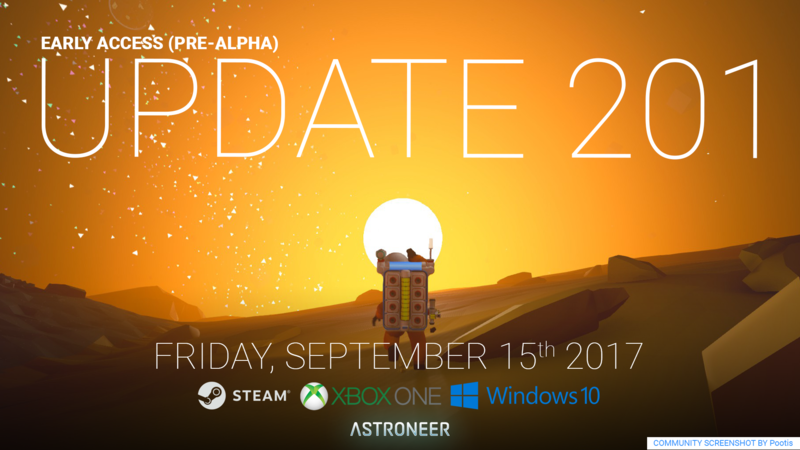 Expect the soundscape of Astroneer to continually get updates. Tether posts now physically simulate and fall to the ground when deforming terrain under them. Steering is now more wheel-controlled and the Rovers have been made more stable overall. Players should see less flipping and spiralling when taking Rovers off sweet jumps. Vehicle physics are still a work in progress, and vehicles might still be a bit wonky on planets with lower gravity. This will be addressed in a future update. [AS-1474] - Fixed a rare crash, that according to engineers was “super weird, and something that should never occur,” involving the game trying to access non-existent Rover wheels. 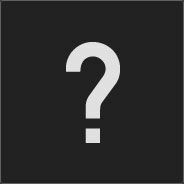 [AS-1482] - Fixed a crash that occurred while trying to change resolution in cases where the settings .ini file had become corrupted. [AS-1517] - Fixed an edge case where the game would crash while unplugging the controller and holding any button. 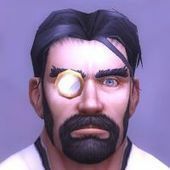 [AS-1552] - Fixed a Multiplayer crash that would occur if a Client player joined a game while the Host was not on Terran. Thanks to last update, the crash list is fairly short and were mainly edge cases. Got a crash? Here’s how to send it over! [AS-760] - Two different actions can no longer be assigned to the same key / button. [AS-1427] - Fixed an issue where audio values reset to 0 after changing them during active gameplay, and then terminating the title. [AS-1514] - Steam client Options menu text adjusts more elegantly to changing window sizes or resolutions (except for very small resolutions or unusual window shapes). Changes to Options menu now persist between sessions on Xbox One. The options menu is a work in progress, and a few bugs popped up since the last update. Another PROTIP: use the arrow keys to adjust values so you don’t have to click the mouse 1 million times. We will implement sliders down the line. [AS-1475] - Fixed an issue in Multiplayer games, where Smelter audio loop continued playing for the Client player. [AS-1524] - Fixed an issue where the Heartbeat audio loop continuously played after returning to main menu. [AS-1528] - Fixed an issue where items would go on a beautiful journey into space if not collected from an dead Astroneer before a second death occurs. Fixed a bug that was causing Rovers to fall through the world when loading into a saved game. Astroneers should no longer get stuck inside base modules as they are being built. Fixed a bug where Tethers were not auto-highlighting for selection when playing with a controller. The following major feature prototypes are going on during development, but are not included in this release. As mentioned above, our initial prototyping phase is starting to move into implementation. That means we will see faster and more concrete progress that players will be able to get their hands on in coming updates. Now that we have our full team firing on all cylinders, you can expect new things to play in experimental and/or the main versions of the game in almost every update going forward as we push toward our goal of being in Alpha! We are really excited to start getting feedback on the roadmap “boulders” we have been tackling. Last update we talked about how our Research 2.0 prototype had been tested internally, and after lots of internal feedback and discussions, implementation has begun. Lots of work to be done here, but we are working towards a completely new progression path that allows players of different playstyles to unlock the things they want to, rather than the current completely randomized system. Sam W. had lots to say about this in a vlog! The plan is to get this into a future experimental build for you all to give feedback on. 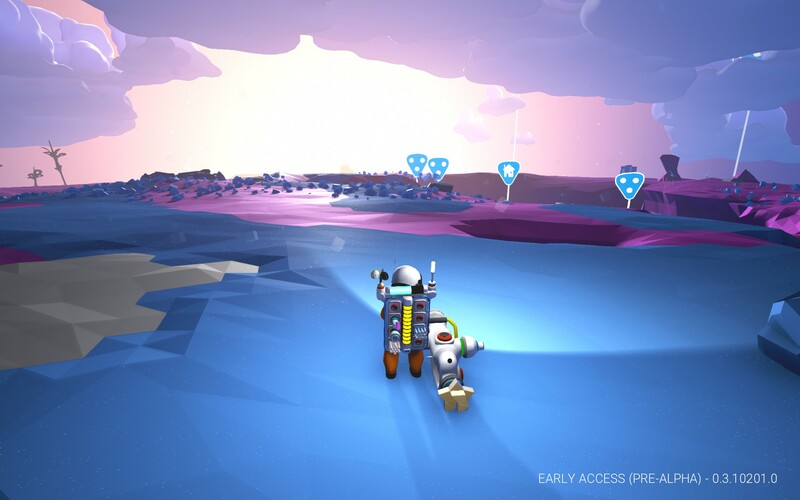 While Zabir works hard on the tech, the art team and other engineers are plotting out the new ways we can author interesting and more varied terrain, while still keeping Astroneer’s signature look. To reiterate earlier posts, our new terrain system will allow for all of the above, while simultaneously letting us up the player count in multiplayer sessions. In case you missed the announcement, we hired our last Engineer (for now ;]) Carl, who will be helping push forward all tech related to dedicated servers, online persistence, and more. We have also identified our partner for hosting, which we will announce at a later date! Modularity has advanced very nicely. After the initial prototype was validated, Aaron has been working on the specifics of how the system will work with other in game loops. During that process, the need was brought up for another system to get an overhaul which leads to the next section. I refuse to add another 2.0 so let’s go with refactor! A couple of weeks back, Elijah did a segment on the vlog where he talked about how we are redoing the power system. Go watch that. To sum it up: in order for bases to be modular, we need to allow players to deliberately control power flow and lines. While refactoring that though, we also are working on gameplay elements that allow players to make more interesting bases. Want to build an underground base but use solar power? Set up your solar farm on the surface, and pipe the power down deep underground. This is one example, but I hope it is enough for you to understand the interesting ways the power refactor can change the ways you play Astroneer. Once again, this is a long one! Thanks for reading and please do not hesitate to reach out with feedback, suggestions, bugs, and encouragement for the team! 10/10 update, will play more! Already noticed a few issues: Medium Rovers seem less stable when steering in a straight line, sometimes the rover completely flips over completely when going forwards without hitting any obstacles. This happened in Terran and it was a rover with only a seat and no other payload. Also tethers seem to be disconnecting randomly when placed after a while. I think it might be due to the tether physics making them slide a bit on their own. Rounding error? The distance between tethers could be increased a little bit more to lessen the issue. The current distance is good for placing when walking but not when sliding down a slope. Another fun issue: When placing 2 compounds on the Vehicle bay to craft a seat for a rover and pressing the print button, another pair of compound batches unrelated to the first two but placed on the sides of the bay also depleted. These 2 were NOT placed on the "feed" slots of the bay. I did a few tests and it happens when driving with a small solar attached to the front or back, happens more when attached to the front. There might be an issue with the geometry / collision detection between the solar and ground. Loving the update especially the new augment tool! Vehicles will take a little getting used to. Please please please update the Recent News section of the Steam page with this: as you're already aware, our Steam-y friends are giving bad reviews for lack of content updates. Well, simply provide them with this announcement thing, and all future ones, and it should help fix the problem. I also suggest putting the vlogs and the Q&A sessions in the Steam page Recent News thing as well; lets show them that this game isn't stalled. Now, I'm off to play this new update. I love the idea of the alignment augment; thank you! Very nice update. Game is still too dark now though. Hopefully that will be remedied in the future. For clarity, the alignment augment will produce a smooth surface that matches the curvature of the planet without constantly rising above or below the original ground level? Introducing the brand new, self-sustaining way of oxygen production: the tether! The new, improved, and overall better tether! One a day is all you need! Pre-order yours now, starting at $999! DKeith2011, somewhat smooth surface. I don't think perfect flat since it will have to keep rotating the angles but makes a smooth driving surface. The augment will make it so it always stays on the same plane compared to the regular flatten that would rise off the planet. The camera is definitely going to take some getting used to lol. It seems a bit more hyper than before, if that's even possible (playing on Xbox One). Do have one notable ISSUE to report: UNABLE to place tool reticle under character (to elevate character, by building up terrain under them). I consider this to be an unintentional flaw (at least that's my hope), one I hope will be remedied. I had no tools applied nothing that would prevent the tool from working as normally. I tried all zoom views of camera, couldn't get reticle under character. While I'm sure different users have differing uses, I mostly use this to build my character up to reach research pods on trees I can't grab otherwise from ground level, and sometimes other such uses when the terrain offers up tidbits not within my normal grasp so to speak. Please fix when you can Devs, but thanks as always for a great game and keeping with great updates. Again, thanks SES! Will keep playing & let y'all know if I see anything else. Well I always do, but sometimes I forget to mention or others report it. Thanks for fixing the annoying heartbeat bug that was really bad lol. On the whole I think the suffication sounds are quite loud, just too loud, even with decreasing the sound options they're very oppressive I think daylight is too bright while caves are too dark, so maybe some white imbalance or contrast issues (from last patch too, and no not my TV settings I've tried all sorts of things). If anyone could advice from SES I'd appreciate knowing what each sound option affects (what is Sound FX vs Ambient for example?) I'd like to be able to hear power beeping as it drains, but not distorted sounds like when suffocating, no gasping sounds, and a quiet heartbeat not one that sounds like it's right in one's ears & throat etc. I've experimented but only music seems straightforward. What is "voice" also? Thanks for any input I'd be most appreciative, or links to where this info can be found. I play on PC with mouse and keyboard. I understand how changing the behaviour of "place tether" is useful in some cases (e.g. when walking/running on the surface) but it quickly gets annoying when exploring caves. In caves, I always place tethers on the right-hand side wall (it helps finding the way out), at about the same height as my Astroneer's head (for better visibility from a distance). Now, every tether requires a keyboard action + 2 mouse clicks. Since quite a few tethers get placed in caves, the new way feels more like "1 step ahead and 2 steps back" than anything else. 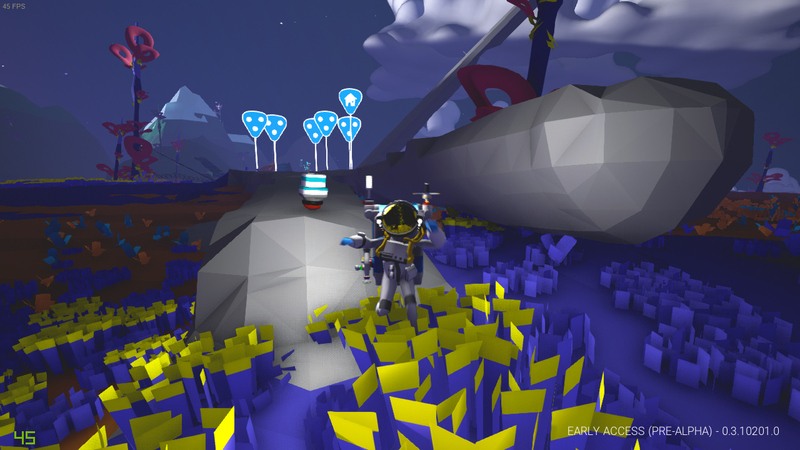 Solution: have one keyboard shortcut to place tethers at the Astroneer's feet and another keyboard shortcut for the old behaviour, which shouldn't be too difficult to implement. Another small thing, it would be very helpful to have the alignment augment at the beginning, before we start expanding our base. Aside from that, I am very much looking forward to the new goodies in future patches. It is unplayable for me on my Steam version. The controls are messed up and basic physics breakdown. TBH I really preferred tethers the way they were, I'm not really sure why we needed a different method to deploy. I lay out my tethers in the 4 cardinal directions from my base, and had been used to having very nice clean lines. Now with this method it takes much longer, is much more cumbersome, and like I said when reaching around the environment to grab other objects I'm more likely to rip up a tether wasting even more time to figure out where it belongs & putting it back than actually pick up what I thought was highlighted (like I said, a return to the old nightmare way of things), yeah please rethink the tether changes. Hahaha - The medium rover on Xbox One is so wonky now it's unuseable. It started with wheelies, but later it actually started floating and flew off into space. When I tried getting out, I fell down and died. Also giving weight to the tethers has the unfortunate side effect of making them solid. Now I bump into them everywhere I go and it's rather annoying. Can't play now until the first bug update. Hahaha - The medium rover on Xbox One is so wonky now it's unuseable. It started with wheelies, but later it actually started floating and flew off into space. About the first point you mention, I too play on Xbox One, and when I first drove a large rover (aka Truck) I was so confused I didn't understand what was going on (and apparently the vehicle didn't either). I don't think the vehicle "got the memo" about how it was supposed to behave, at lease when using a controller It "acted or seemed" like it was trying to run in reverse when I was trying to leave my base. Now I'm all for making reverse easier, but idk what the answer is short of having (ugh) discrete separate vehicle controls (the kind which have their own menu in a game, which are context-initiated when you enter a vehicle [I'm sure there's a proper name for that in gaming Dev lingo I just don't know what it is] which for a casual game like this I don't think the majority of people would want, including myself). While we're discussing the vehicles, please tone down how storms interact with them. Storms are like tornadoes in intensity now (when you're in a vehicle) even if you're driving, adding input and power, storms are pushing me into caves, ravines, stuff that didn't used to happen and which I think is a bit unbalanced. They also drift a bit too much, like we need a parking brake now I understand the concept of gravity and following the curvature of a planet, but c'mon let's not make the game a burden so it's not fun either because of too many details. On the opposite side of things, too many collisions to make roverimg around any fun. Too many boulders, and like mentioned above now the tether posts are an issue (I'm gonna take a wild guess that it "might" be related to them being active objects in game, but since I don't know anything about game coding I really have no idea). Either way, I'd love to see less collision dynamics for boulders or have the wheel base or something raised on the vehicles (so we clear boulders much easier without changing the aesthetic of the planets a lot). And please go back to the way tethers had no collision (I, too, am running into them all the time as are vehicles and I'm getting stuck which is why I hate using vehicles in the first place it's literally faster to go by foot and toss research until one reaches great distances, except now having active tethers really screws that whole plan up). Very much looking forward to some needed changes to the changes This doesn't mean I'm not appreciative because I am, and always looking forward to new things that are on the horizon (and the road map too). Thumbs up guys and gals! The truck feels kind of weightless when empty but now handles MUCH better when under load or with large storage attached. I never used to bother with large storage because the vehicle became so top-heavy. I haven't rolled once yet. No troubles here with floaters either. How do I use the Alignment Mod?